This is an extra large recipe for two or to store for later! Approx. 30 oz. It’s a total win from taste to vitamin boost! 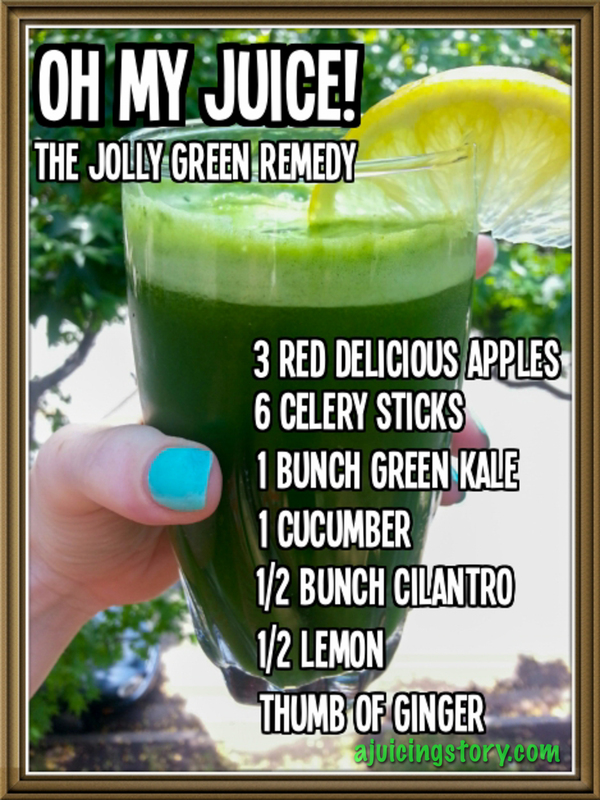 Posted in Recipes and tagged green juice, juice, juicing, juicing for cancer, juicing for health, juicing to detox, oh my juice, omj, recipe, the jolly green remedy. Bookmark the permalink.